New York, June 10, 2015 /3BL Media/ – Citi today released its 2014 Global Citizenship Report highlighting efforts underway in the past year to empower people, support economic progress in cities, and catalyze sustainable growth. The report, Progress: Responding to Global Challenges, examines how Citi lends, invests and facilitates growth through core business activities and philanthropic efforts, as well as partnerships and new approaches to address pressing needs. Citi’s citizenship efforts are informed by the perspectives of partners and experts, many of whom are highlighted in this report. 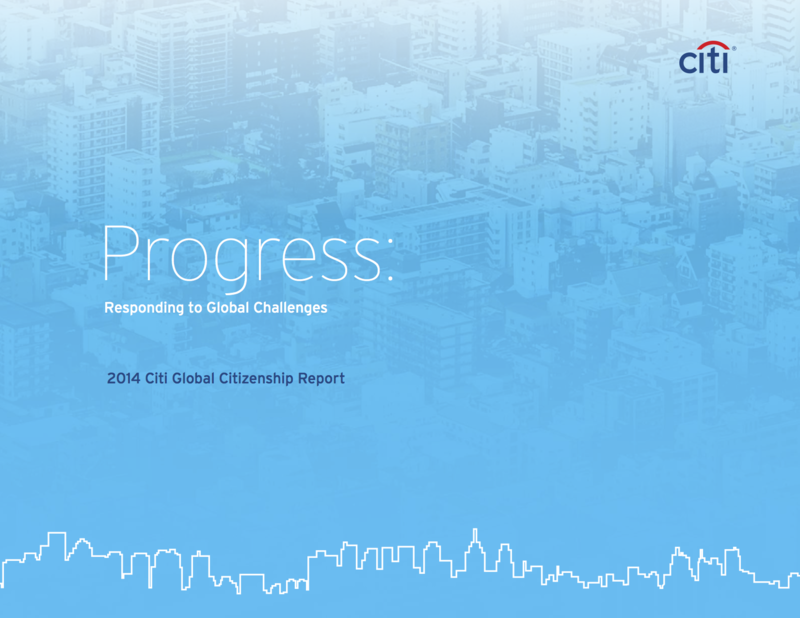 To learn more about Citi’s citizenship efforts across the globe and to review the 2014 Global Citizenship Report, visit http://citizenship.citigroup.com/citi/about/global_citizenship.html. Citi self-declares a B application level under the Global Reporting Initiative (GRI) framework, a global voluntary standard for corporate environmental, social and governance reporting.